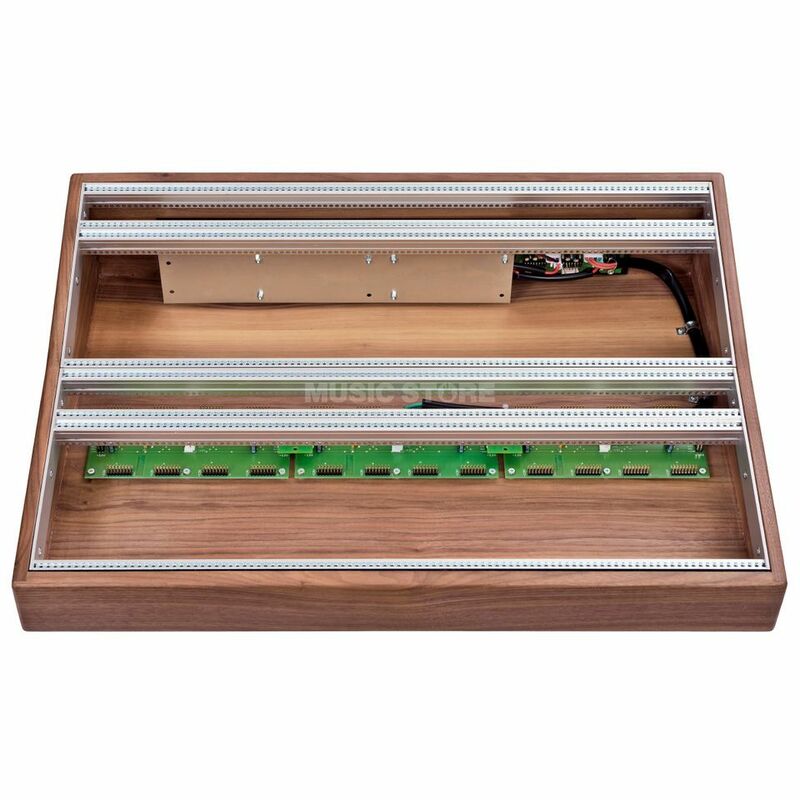 The Vermona Modular Case 104 is a hand-assembled, 104 HP Eurorack Module case, divided into 2 rows of 3U. The power supply for the module is extremely stable, providing 2000 mA, enough for the vast majority of builds. In addition to the double 3U rows there are 2 x 1U rows to accommodate multiples or other useful utilities. Visually the case has a solid, classic look, with polished wooden side panelling and is reminiscent of the legendary original synthesizers.